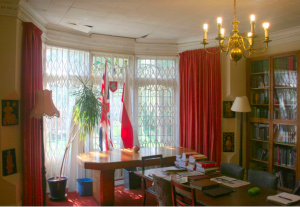 Belarusian Library in London in now open for visitors every Saturday from 2 pm until 6 pm. Visitors can read journals which cannot be found elsewhere in Britain, borrow selected books and work with the largest collection on Belarusian studies in Western Europe as well as have a cup of tea. If you plan to come please email library@skaryna.org.uk. You can also use the same address to make an appointment to visit the Library on another day. Address: 37 Holden Road, London, N12 8HS United Kingdom. This entry was posted in ABS and tagged Belarusian library, london, Skaryna library. Bookmark the permalink.